Ranging from the playful, to the fact-filled, and to the thoughtful, this collection tracks the fortunes of Walt Disney's flagship character. From the first full-fledged review of his screen debut in November 1928 to the present day, Mickey Mouse has won millions of fans and charmed even the harshest of critics. 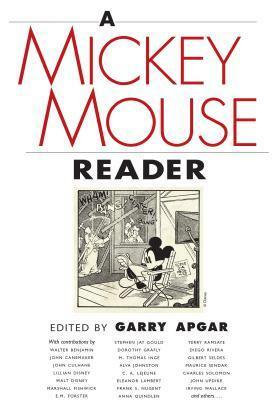 Almost half of the eighty-one texts in A Mickey Mouse Reader document the Mouse's rise to glory from that first cartoon, Steamboat Willie, through his seventh year when his first color animation, The Band Concert, was released. They include two important early critiques, one by the American culture critic Gilbert Seldes and one by the famed English novelist E. M. Forster. Articles and essays chronicle the continued rise of Mickey Mouse to the rank of true icon. He remains arguably the most vivid graphic expression to date of key traits of the American character--pluck, cheerfulness, innocence, energy, and fidelity to family and friends. Among press reports in the book is one from June 1944 that puts to rest the urban legend that "Mickey Mouse" was a password or code word on D-Day. It was, however, the password for a major pre-invasion briefing. Other items illuminate the origins of "Mickey Mouse" as a term for things deemed petty or unsophisticated. One piece explains how Walt and brother Roy Disney, almost single-handedly, invented the strategy of corporate synergy by tagging sales of Mickey Mouse toys and goods to the release of Mickey's latest cartoons shorts. In two especially interesting essays, Maurice Sendak and John Updike look back over the years and give their personal reflections on the character they loved as boys growing up in the 1930s.